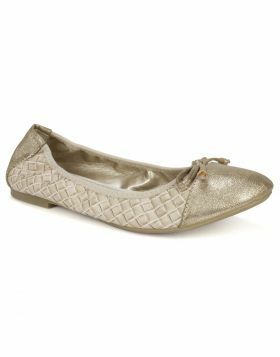 Dress up your casual look with the Sydney II ballet flat from Rialto Shoes with signature scrunch-style detail. 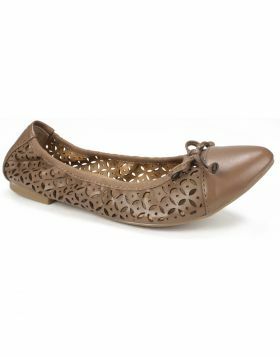 Adorned with an elegant circular ornament, this flat features perforated memory foam insole and a highly flexible outsole for an extremely comfortable fit. The elastic top line is strategically placed along the sides to keep these comfortable all day. 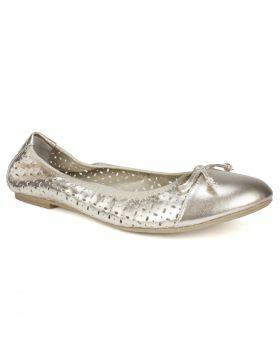 The Sydney II flat makes a perfect travel companion.